3-family house Sabrina, 3 storeys. 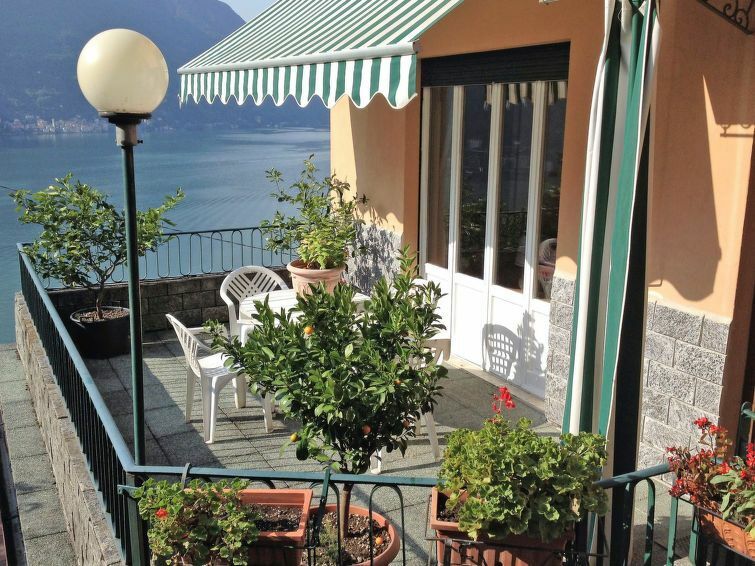 In the hamlet Careno 1 km from the centre of Pognana Lario, 2 km from the centre of Nesso, on a slope, 300 m from the lake, located by a road. Private: small terraced garden (fenced) with flowers and trees. In the house: storage room for bicycles. Stepped path to the house. Parking at 20 m. Grocery 1 km, restaurant 500 m, bus stop Como - Bellagio 20 m, pebble beach 300 m (small). Nearby attractions: Boat service Como - Bellagio 300 m, Orrido di Nesso 2 km, Bellagio 15 km. Hiking paths: Piani del Tivano 12 km, Ghisallo 25 km. Please note: car recommended.